Has Your 5-Star Rated Fund Lost Money in the Latest Market Crash? Home > Financial News. Simplified. > Has Your 5-Star Rated Fund Lost Money in the Latest Market Crash? Invest in 5-star rated funds this Diwali and make your future bright. If a mutual fund distributor makes this pitch, how likely are you to invest? Investing in an equity mutual fund through Systematic Investment Plans (SIPs) on any day is good, as long as you know your investment objectives, financial goals, the time horizon to achieve the goals, and your risk appetite. But, why are we emotional about investments? In fact, companies operating in the financial services industry know your emotional connect with festivals. They try to exploit this by subtly pushing their products. Believe it or not, many investors fall for such appeals. So, is it a good strategy to invest in 5-star funds during Diwali (or even otherwise), considering the current downtrend in the market? Going by historical evidence, it proves otherwise. This article will bust your myths about star-rated funds. Most rating agencies offering mutual fund star-ratings for free, do not take enough care while assigning ratings in comparison to those that charge a fee. Therefore, these agencies do not necessarily conduct an in-depth analysis of the options that are available. 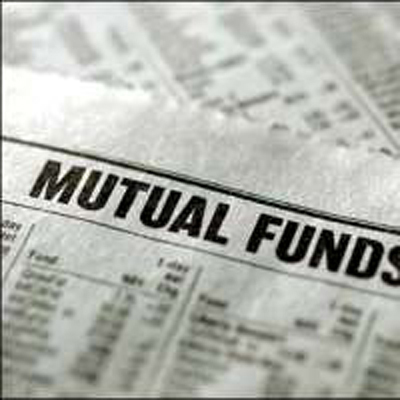 They primarily focus on the latest performance of the mutual fund schemes; say 1-year returns, 3-year returns, etc. But what about the qualitative aspects? Let’s remember, free recommendations rarely work and a ‘one-size-fits-all’ approach doesn’t work either. Distributors try to mis-sell products that fetch them higher commissions. Banks, fiduciaries of your money, don’t always have the most judicious standards and mis-sell. These were 5-star schemes that had generated huge returns for their investors. But as they grew bigger in size, they became unmanageable. Their performance dropped considerably over time. If you had invested in them when they were 5-star rated funds, you would have repented later. Nonetheless, the performance of these schemes was something to talk about in their heyday. But when a scheme such as JM Core 11 Fund receives a 5-star rating from a popular independent mutual fund rating agency, the risk of investors making the wrong decision based on ratings alone increases substantially. Although JM Core 11 Fund has outperformed the Nifty Total Return Index (TRI) over the last 3-years, its 1-year performance has been miserable. The fund house does not have an encouraging track record on the equity side. Can a 5-star fund afford to crumble under the pressure of tough market conditions? It did, not once, but on several occasions. The same rating agency has rated Aditya Birla Sun Life Equity Advantage Fund as a 4-star fund. The fund has consistently underperformed Nifty 200 TRI over the last three years. Specifically, in 2018, the fund looked more vulnerable. 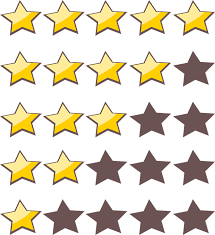 Would it be wrong to say that star ratings especially the ones available for free are misleading? Mutual fund selection is a skilled job. If you want to select a mutual fund scheme that will generate market-beating returns, you have to be extremely careful about the selection process. This is to analyse if the fund has shown consistency in performance across various market periods with decent risk-adjusted returns. Under this, the fund needs to be ranked on quantitative parameters like rolling returns across short-term and long-term periods, such as 1-year, 3-years and 5-years, and on risk-reward ratios like Sharpe Ratio, Sortino Ratio, and Standard Deviation over a 3-year period. Ensure that the fund has the ability to perform consistently across multiple market cycles. Therefore, compare the performance of the schemes vis-à-vis their benchmark index across bull and bear market phases. 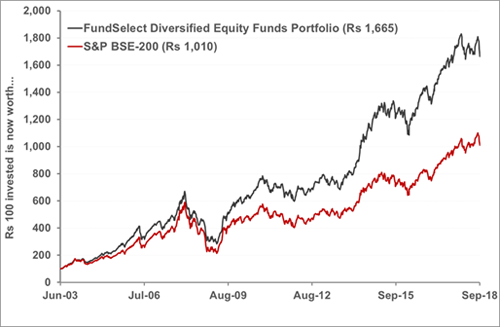 A fund that has performed well during both phases of the market should rank higher on the list. Adequate Diversification - The scheme should not hold a highly concentrated portfolio. The portfolio should be well-diversified, and the exposure to the top-10 holdings should be ideally under 50% of the total equity portfolio. Portfolio Quality – The performance of the scheme is largely hinged to the quality of stocks and debt papers the fund holds in its portfolio. Particularly, when you invest in a debt scheme, ensure that the fund does not hold a high proportion of low-rated (securities rated AA or below) or unrated debt instruments. A fund with a higher credit quality should be ranked higher. Low Churn - A very high portfolio churning can result in trading and high turnover cost. Therefore, you also need to consider the portfolio turnover ratio and expense ratio and penalize funds that engage in very high churning, i.e. those funds with a turnover ratio of more than 150-200%. The fund manager's work experience – He/she should have a decent experience in investment research and fund management. The number of schemes managed – A fund manager usually manages multiple schemes. Thus, you need to check if the fund manager is not loaded with too many schemes to manage. If he/she is managing more than five open-ended funds, it should raise a red flag. The efficiency of the fund house in managing your money – Research about the fund house's consistent performance across schemes. Find out if only a few selected schemes are doing well. A fund house that performs well across the board is an indication that sound investment processes and risk management techniques are in place. If the recent market crash has made a dent in your mutual fund portfolio despite you investing in all the 5-star rated funds, it's perhaps the time to say goodbye to your advisor. Do you still want to depend on free recommendations and 5-star rated funds? Or are you ready to add SOLID mutual funds to your portfolio that may help you create wealth in the long run? If you think selecting mutual funds is an extremely tough job for you; don't lose heart. PersonalFN's unbiased premium research service—FundSelect is just meant for investors like you—who don't have the time, expertise, or both to select worthy mutual fund schemes. So try PersonalFN’s flagship mutual fund research service FundSelect if you are serious about investing in a rewarding fund. Every month, PersonalFN’s FundSelect service will provide you with an insightful and practical guidance on equity funds and debt schemes – the ones to buy, hold or sell, thus assisting you in creating the ultimate portfolio that has the potential to beat the market. Subscribe to FundSelect today!